What parent wouldn’t want an organic baby mattress, made of “BabySafe Natural Materials” and certified by the Green Safety Shield, no less, for their l’il Snookums? Especially if it contains a “natural latex core”? Sounds far preferable to a mattress pad made of “polyurethane, a non-natural material made almost entirely from isocyanates and polyols derived from petrochemicals” and “synthetic latex”, doesn’t it? Those advertising claims were all a crock, at least according to the Federal Trade Commission. The agency filed a complaint alleging that Moonlight Slumber, LLC, the vendor of said mattresses, both misrepresented their composition and lacked factual support for its statements. This, the FTC asserted, was a violation of section 5(a) of the FTC Act prohibiting “unfair or deceptive acts or practices in or affecting commerce.” The case was subsequently settled. Section 5(a) provides the FTC with broad authority to define and rectify violations. Indeed, we’ve already discussed the statute’s application to website security breaches and false origin claims. While the agency has addressed numerous false advertising cases in the past, there are a few noteworthy things about the Moonlight Slumber case that warrant comment. 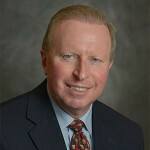 The settlement agreement does direct that claims of organic status must be based “upon competent and reliable evidence, which when appropriate based on the expertise of professionals in the relevant area must be competent and reliable scientific evidence, that is sufficient in quality and quantity based on standards generally accepted in the relevant fields when considered in light of the entire body of relevant and reliable evidence, to substantiate that the representation is true.” Although no specific definition is given, a process for supporting such claims is set forth. 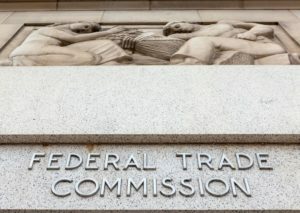 Second, the FTC reiterated the requirement that statements about a product’s attributes must have a “reasonable basis.” For example, the vendor lacked support for its claims that the mattresses “do not emit volatile organic compounds” and that testing proved there were no such emissions. Without support, these representations were unsubstantiated and false or misleading. Cases before Moonlight Slumber also stand for this proposition. Finally, the “Green Safety Shield” designation touted in advertising was imparted by the vendor itself and “is not a certification by an independent third party”, as implied by its use. The mere use of one’s own “certification” is not a prohibited act, but implying that it was bestowed by someone else may be. With increased consumer demand for “natural” and “organic” products, the Moonlight Slumber decision is a guide for vendors in that market to avoid running afoul of charges that they have misrepresented the attributes of their merchandise.